By Fabric Finders Fine Quality Heirloom Fabrics. 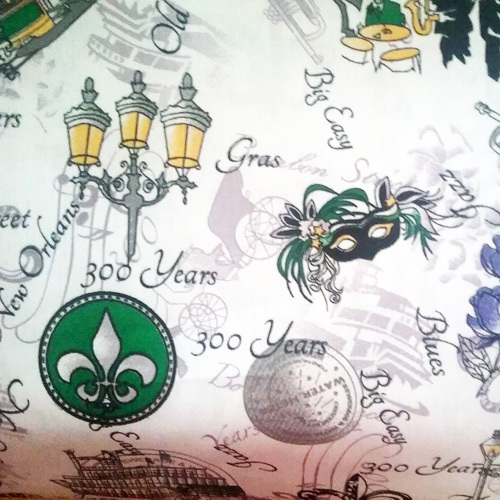 New Orleans 300th Anniversary Fabric. Purple, yellow and green print on white. 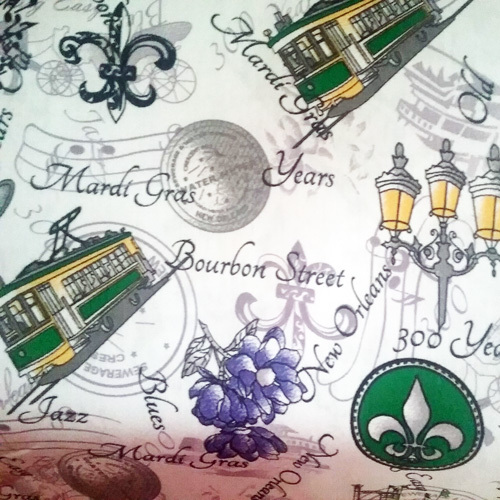 This fabric includes steamboats, magnolias, street signs, lamps, trumpets, fleur-de-lis, water meter covers, and streetcars. 100% cotton fabric. Lightweight and drapes beautifully. Suitable for apparel or quilting. Pattern # 2098.